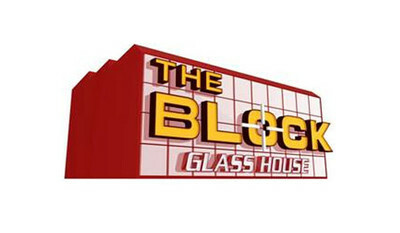 Being a Block contestant would be an insane experience. There is a the anxiety of being on camera 18 to 20 hours a day, completely renovating a room each week with Shelly and Scotty tossing in challenges for good measure, judging, budgets, and the list goes on. It’s all for one purpose, and that’s to win big at auction. But of course that’s not what happened during the Auction for the Glasshouse. Even the brothers looked gutted to have won. Did you watch? What did you think? I am absolutely shocked at the poor results of the auction for three of the couples. I did peg the boys to win, but I sure everyone would bring home a tidy sum, excluding maybe Jenna and Chris. My heart goes out to Max, Karstan, Michael and Carlene - they deserved much more than they received. I also feel bad for Darren and Deanne, as ungracious as they were, the ten grand they won wouldn't even be close to minimum wage for all the hours they put into their apartment. It was a sad thing. We don't have that show, but I can imagine how upset you'd be to put in all that work and then get a low sale. I didn't think it was very fair on the contestants who had slaved away for 5 or 6 months just to split $10,000 between them. I've heard that they get paid $700 per week as a wage, don't know how true that is but even then its still way below what they should have been getting. Although I didnt like Dee and Darren, they had a great apartment. Her style was actually my favourite out of all the contestants. I loved how Chris and Jenna made over $300,000! They really deserved it as they were the underdog and got a lot of slack! I spent the whole night with a sick feeling in my stomach. I couldn't imagine going through that kind of stress and getting next to nothing out of it. Are you excited about Danger Mouse returning to CBBC? Best Greek Restaurant in Melbourne?